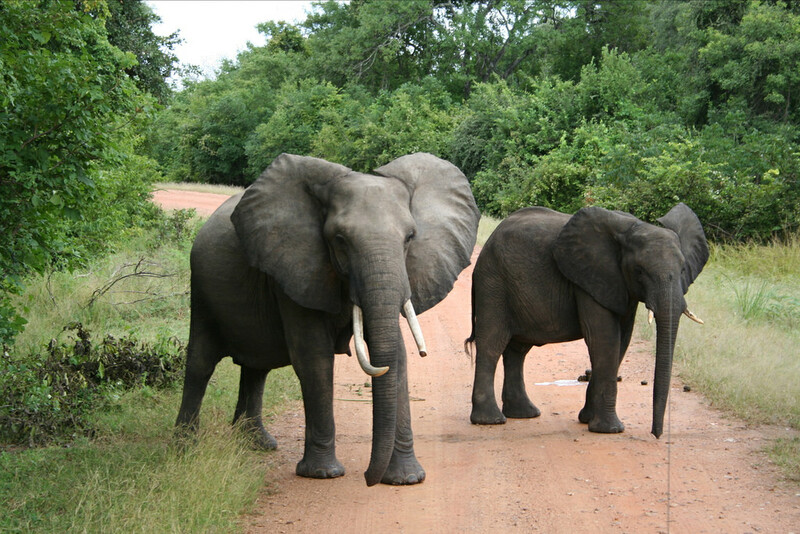 The South Luangwa National Park is home to the original Walking African Safari. South Luangwa is also one of the premier game viewing destinations in Zambia and throughout Africa. Situated far from any major cities South Luangwa is a remote wilderness experience and doesn’t have the mass of tourism associated with it as some other National Parks in Africa. The Luangwa River is the life force flowing through the Valley. Teeming with hippos in the dry winter months, elephant, antelope and plains game fighting for a space of the scarce water, lions dominating the shady trees watching the river activity. Thornicroft’s Giraffe found only in the South Luangwa, and Cookson’s Wildebeest endemic to the area are some of the fine game viewing opportunities available. Leopard sightings are usual too. Guiding in Zambia is some of the best in Africa. South Luangwa guides are experienced, knowledgeable and keen to show you the best of their country! For the safari enthusiast Walking Safaris are definitely a highlight in this park. On a walking African safari you are truly able to get into the wild, cut yourself off from everything out there and really experience nature at its finest. The bushcamps, although more rustic than your typical 5 star African safari lodge, still have everything you need to make your stay in the wild comfortable. All have en-suite bathrooms, some with open roof tops like Luwi Bush Camp operated by Norman Carr Safaris.